Have you thought of going to the Kettlercise class? Do you know what it is? I went along to see. I took some photos, but as no-one ever stood still they are all a blur of whizzing weights and activity! You can see all the Kettlercise photos on our website. It looked hard work, but Lorraine, the coach, was very friendly and everyone seemed to be having a great time. 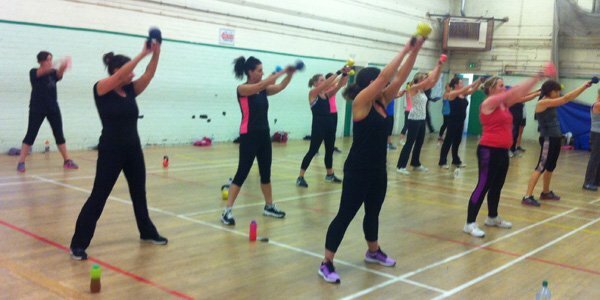 Kettlercise is on Thursdays from 7-7:45pm, followed by Abs Blast, also with Lorraine.